Explore the beautiful island of Oahu with your private tour guide in a spacious, high roof passenger van. Enjoy the luxury of a personal guide for the day with the opportunity to ask questions and the option to spend a bit more time at places you enjoy. Your guide will also offer to take pictures of you at every stop. The Oahu Private Island Tour is a great option if you prefer the privacy of your own van, you are travelling with a small group or to celebrate special occasions. Explore the highlights of the most popular island of Oahu with a friendly and professional tour guide in a comfortable tour van. Complimentary hotel pickup from your Honolulu or Aulani/Ko Olina accommodation. Your guide will provide expert commentary along the way and drop you off at your hotel at the end of the tour. 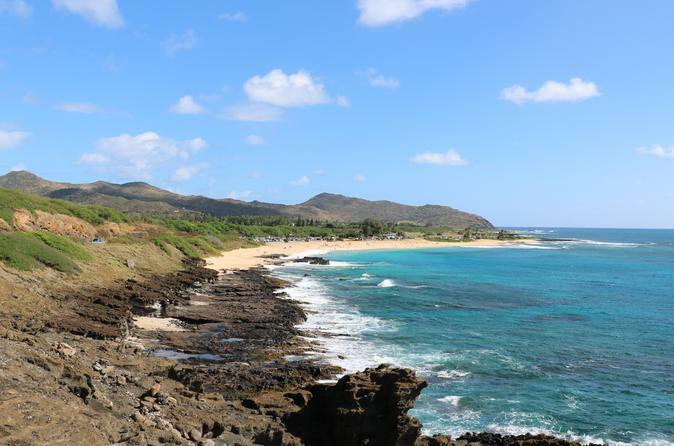 The Oahu Private Island Tour is a great option for a more personal experience where you will get to know your guide and the beautiful island of Oahu. .
Tour does not include meals. Duration up to 9 hours.